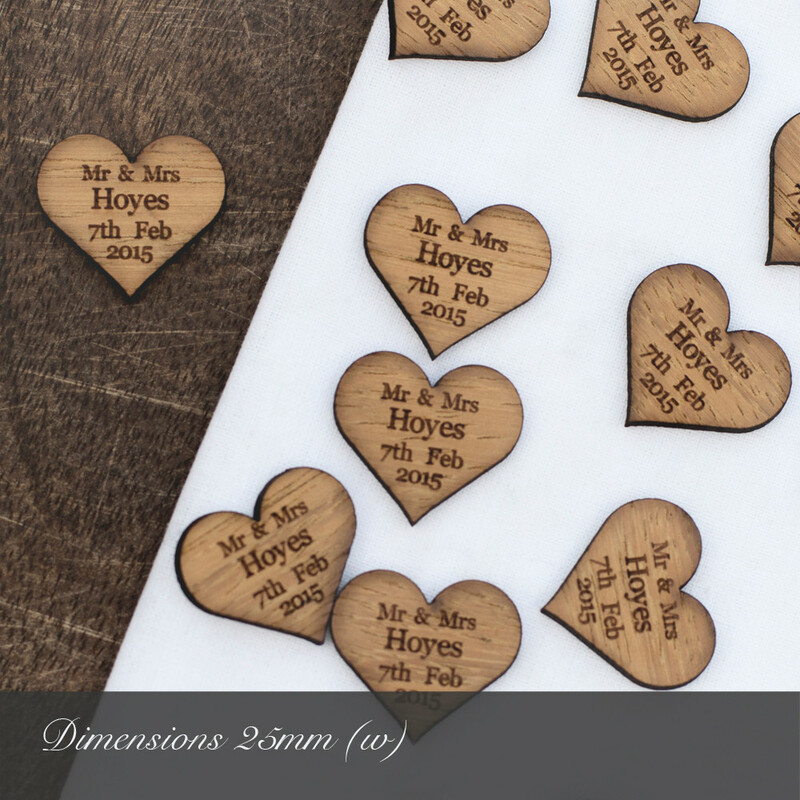 These rustic wooden hearts are laser cut from 3mm hardwood and look perfect scattered across your wedding tables. 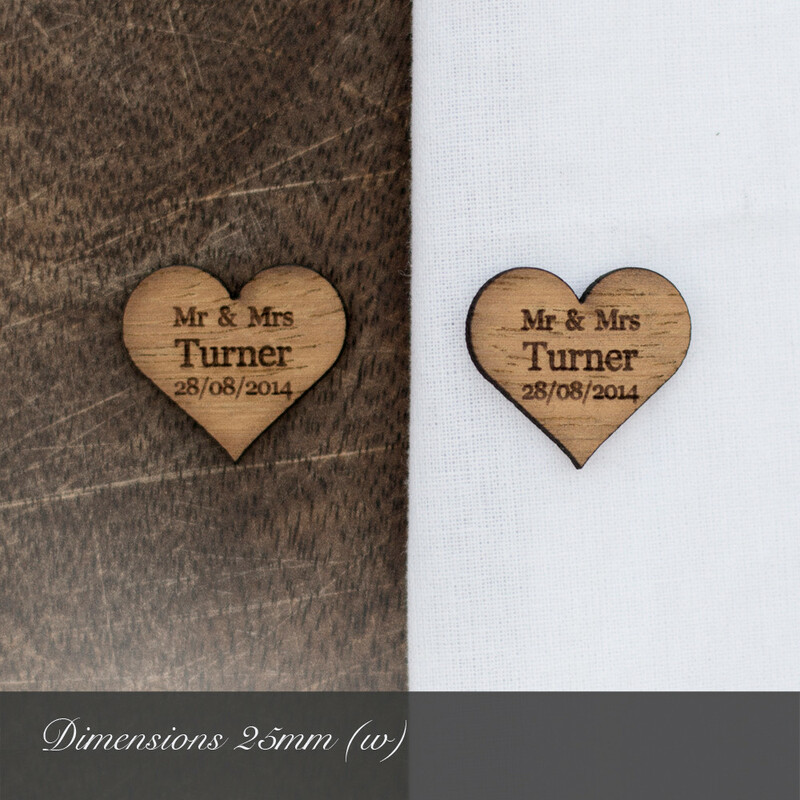 These beautiful additions to your wedding can be engraved with the names or words of your choice. 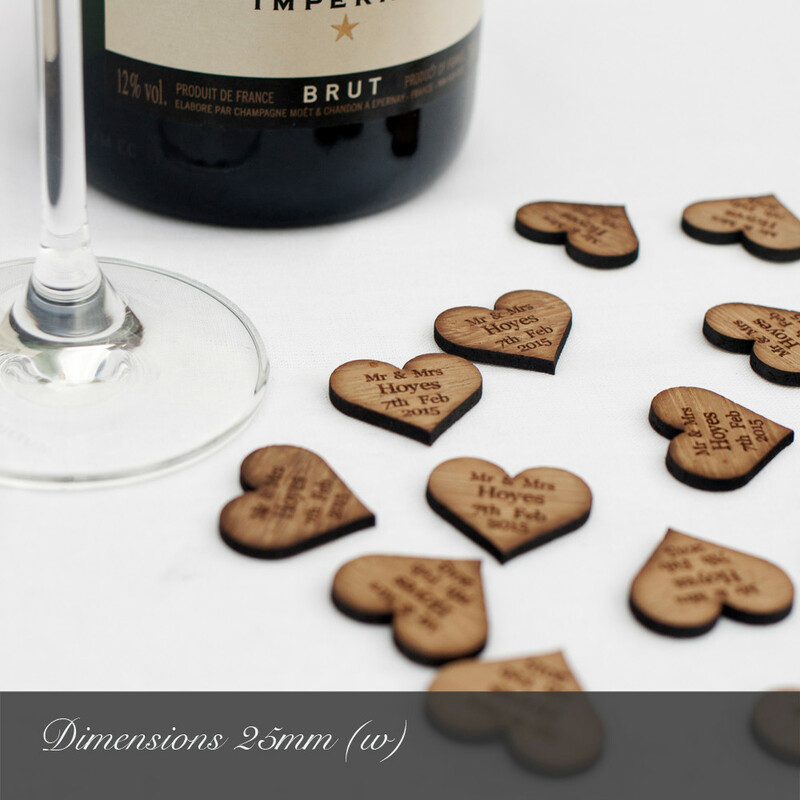 You can be sure your guests will want to take one home as a keepsake from your special day. 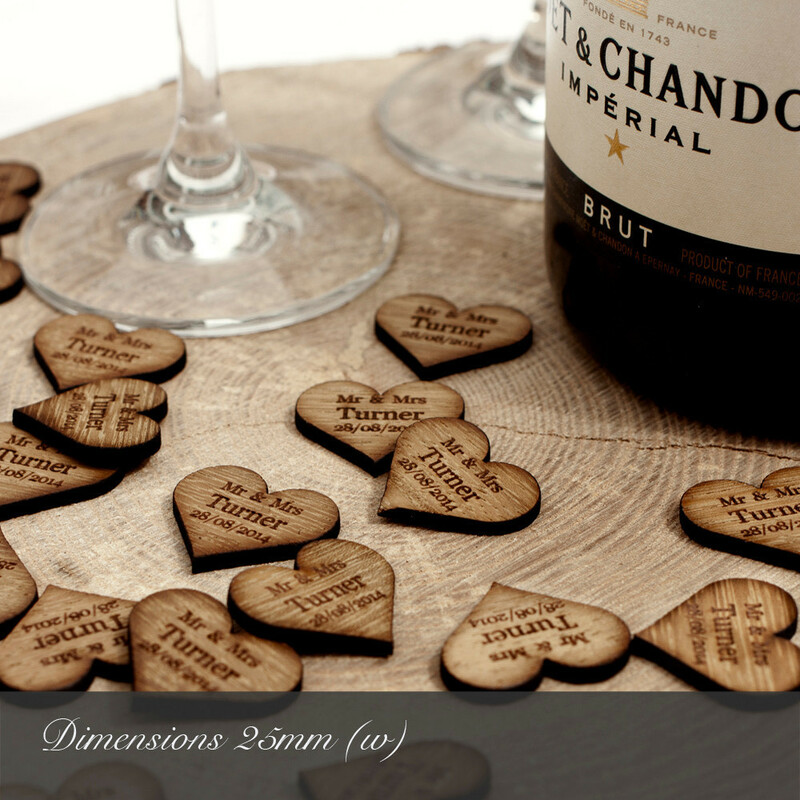 These hearts are cut from solid hardwood, unlike cheaper Plywood alternatives, and planed to a thickness of Approximately 3mm. 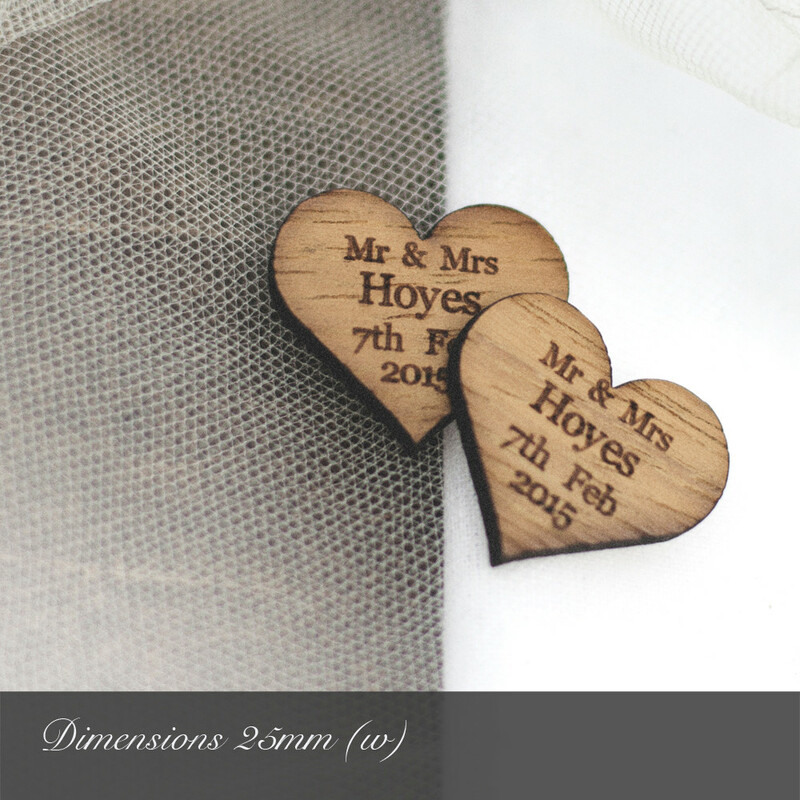 Dimensions: Approx 25mm wide (1 inch), 2.5mm thick.